(1981), PhD, theatre director, dramaturge, cultural-studies scholar and performer. A graduate of the Inter-Faculty Individual Studies in the humanities programme at the University of Warsaw (2006), she studied directing at the National Academy of Dramatic Art in Warsaw. In 2008, made her debut at the Stefan Jaracz Theatre in Olsztyn staging Elfriede Jelinek’s Jackie: Death and the Maiden. She has directed performances in Polish theatres including the National Stary Theatre in Kraków and the Polski Theatre in Bydgoszcz. Szczawińska collaborates on a permanent basis with Agnieszka Jakimiak, Piotr Water Jr, Krzysztof Kaliski and Agata Maszkiewicz. Her most recent work is Hitchcock, created in the Slovenskomladinsko gledališče in Ljubljana (2017). 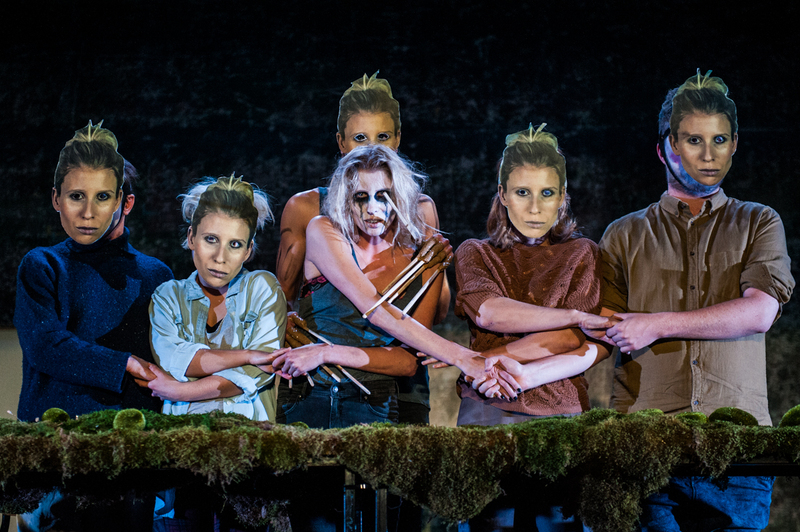 DYBUK, directed by Anna Smolar, premiere: 4.12.2015, Hieronim Konieczka Polski Theatre in Bydgoszcz. Photographer: Monika Stolarska. The paper deals with the issues related to the integration of theoretical and practical perspectives in Polish theatrical life and theatrical higher education. The inseparability of ‘theory’ and ‘practice’ has for a time been postulated in Polish theatre and education (especially at university level). The implementation of such an integrated research and creative path, however, encounters a number of specific problems pertaining to the shape of Polish theatre institutions. The paper focuses on the systemic barriers encountered by transdisciplinary work in the field of performative arts. The most important context here is the placement of integrated practice in the field of tensions related to the hierarchical nature of Polish institutions (and the resulting problems with democracy), as well as the capitalist myth of professional specialization. The trouble with transdisciplinarity in the Polish theatre life is diagnosed by pointing to the lack of systemic change and the failure of the few institutions that proposed non-binary, integrated modes of action. Another important theme in the paper is the indication of the particular identity impasse within the Polish theatre occurring due to conservative backlash. In this article, I’d like to propose a framework concerning specific mechanisms relating to transdisciplinarity that govern Polish theatre –that framework, along with a description of those mechanisms, may also provide a context for topics related to theatre education. To begin, I’d like to extend the following thesis: in Polish theatre life, there can be no talk of integrating theory and practice. This integration has yet to take place. That exhausting positional war continues, we sit in the trenches of a binary oriented conflict and we can’t overcome that binarity. I’m deliberately setting the case in a sharp perspective, of course –I don’t mean to negate here the changes, practices and forms of action that have taken place in the last ten years or so and which continue to take place, thanks to the efforts of many people. I believe, however, that such a radically pessimistic approach can help us assess the actual situation, make a diagnosis and perhaps even consider the future. Everything that’s happened in recent years in the field of integration understood as stated above the emergence of new theatre professions (like dramaturges and curators, dramaturges of movement), the change in attitude in some circles of theorists, the parallelism of theatrical and theoretical practice that’s found outlet, for instance, in parallel development of socially relevant subjects (such as memory boom, the counter history current, productions touching upon emancipatory themes or utopian models of social organization), a change in theatrical form carried out through essays on theatrical modes, productions based on research, a fundamental rethinking of the role of the theatre medium and particular components of that intricate intermedia complex, the development of institutional critique – all of which comprises merely a certain set of strategies, not entirely connected and not really forming a greater whole. It remains, to put it bluntly, an extended marginalium, because we haven’t been able to shift the foundation of our ways of thinking about theatre, which also finds its reflection in the structure of higher education in theatre. Kosiński’s paper, though it aptly reflects the outline of this binary positional war, was in fact optimistic, offering postulates. The rest of the panel was similar in character, including my presentation, created and delivered with Bartosz Frąckowiak. Unfortunately, years have passed and the entire matter is starting to look worse –little has changed since then. We’re still stuck at the stage of postulates which seem increasingly difficult to realize. From today’s perspective, contrary to Kosiński, I’d locate the creative, integrative impulse rather on the side of theoreticians. They’re the ones who, by becoming curators or managing directors or as theorists and theatre pedagogues, for instance, use practical tools in their work and employ varied methods and strategies. I find this similar to the experience about a decade ago when I was studying at the directing department of the National Academy of Dramatic Art in Warsaw and an invigorating change was coming from the theatre studies department. I recall especially the Postdrama Project Festival held in 2005 – a year before, the Polish translation of Hans Thies Lehmann’s Postdramatic Theatre had been published. The initiative, organized by a group of theatre studies students, became a very important event: it attracted Erhard Ertel, the documentalist of the Volksbühne theatre, to the academy, among others, while Małgorzata Sugiera patiently introduced us in the course of a workshop session to the intricacies of that theory, as yet unknown to the academy’s students. This was a very important experience for me, and I remember it as an important impulse that came from the theorists. As students of the directing and acting departments, we’d remained passive. From where does the radicalism and pessimism of my thesis stem? The actual stakes in the integration of theory and practice is the transformation of institutions, systemic change –which is still not occurring. Or, to put this in different words: it occurs very slowly, at a snail’s pace, amidst minor shifts in modes of work. The integration of theory and practice can not be a purely intellectual and artistic tool, but rather a tool of change. A change that must be comprehensive in nature. Of course, in today’s socio-political context it should be added that the issue of monopolisation of public funds has changed meaning and become very complicated, and should therefore be considered in a different light –but that’s the subject of a separate discussion. One can add that the groups among which the integration of theory and practice occurs to the highest degree, such as the world of dance (which makes its presence felt ever more strongly, within repertory) a rather new Polish dance scene, remain cut off from permanent funding. And here lies the crux of the matter. Trailer for KLUB POLSKI, directed by Paweł Miśkiewicz, premiere: 10.11.2010, Gustaw Holubek Dramatyczny Theatre in Warsaw. One must reveal and then strongly emphasise the fact that the Polish theatre world needs to be viewed as a heterogeneous formation full of faults: a realm of unequal funding, instability, a space of completely different expectations, traditions, and even –and this is particularly important –an accessory to different phases of capitalism. Drama schools and repertory theatre appear to belong to an entirely different realm from festivals at which repertoire productions are shown, from project productions, independent or authorial companies, as well as from the dance scene. Still other dividing lines can be introduced: education in drama schools belongs to a completely different cosmos than some contemporary art practices. Or, rather, than the vast majority of these practices. Institutions within which certain hybrid, transdisciplinary activities take place are experiencing a violent crisis –impossible to resolve, in most cases. I’d like to refer to the significant examples of two theatre institutions: the Dramatyczny Theatre in Warsaw while under the management of PawełMiśkiewicz and Dorota Sajewska (2008–2012) and the Polski Theatre in Bydgoszcz under the management of PawełWodziński and Bartosz Frąckowiak (2014–2017). These two institutions, which both attempted to carry out broad, integrated change and were focused on rethinking their shape –in an incomplete manner, of course, as these were difficult beginnings and in both cases economic issues escaped the management’s attention, as that problem usually escapes one’s attention first –failed spectacularly. I understand by this not the failure of the management, their collaborators and the artists –in that respect, things were progressing –but rather a systemic failure. 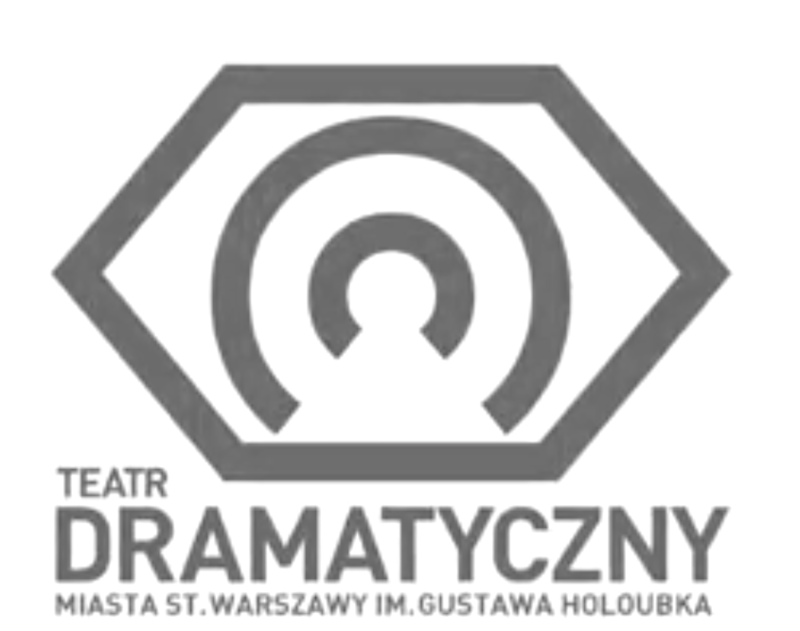 Both management tenures (that of Miśkiewicz and Sajewska finished in 2012, and Wodziński and Frąckowiak’s concluded with a symbolic closing day in June 2017) ended with their contracts not being renewed by the respective organisers’of the theatre companies, and at the Dramatyczny Theatre with the dismantling of the outgoing management team’s achievements and successes, while more recently in Bydgoszcz, an announcement has stated that the current line of development will be discontinued. Both institutions, whose innovative shape related to the integration of theory and practice included book publications, research based shows, staged theatrical essays, curatorial models, cooperation with foreign artists (rare in Poland), were erased through being beset in a two fold manner: by neoliberal practices demanding a different shape and profitable culture ‘for the people’and by conservative backlash (which is intensifying at present). 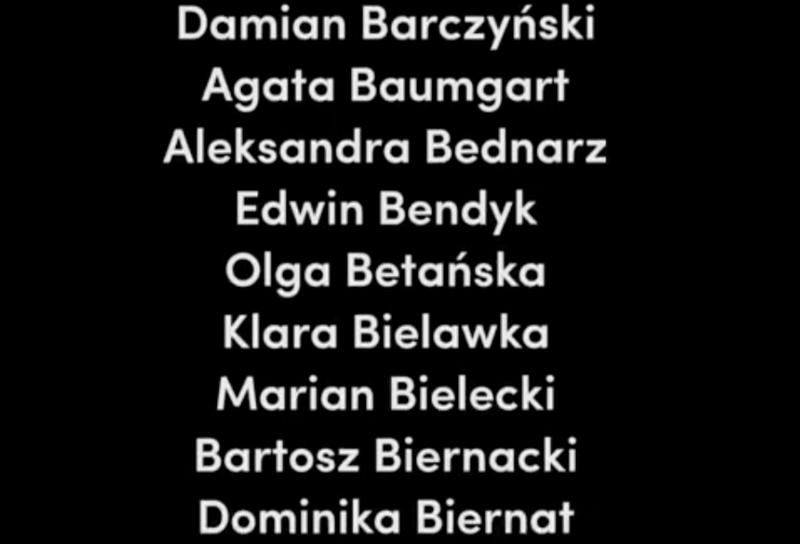 End credits put together for the closing of the three-year programme at the Hieronim Konieczka Polski Theatre in Bydgoszcz, June 2017. I don’t wish to idealize those two companies, as they each had significant problems –for instance, with the democratization of the creative process. But that doesn’t change the fact that real and serious attempts at profound transformation were undertaken within them, then dismantled later at the institutional level. Of course, it can be said that the integration of theory and practice is a great, catchy slogan, a PR device. To borrow Mark Fisher’s phrase from his book Capitalist Realism: Is There No Alternative? it’s worth repeating that ‘all that is solid melts into PR’3–itself a paraphrase of Marx’s words. But in Polish theatre recently, the integration of theory and practice isn’t even a desirable PR stunt, and veers rather into negative campaigning. This happens mainly due to critics –or, rather, a degradation of criticism –who perceive their work increasingly as an exercise in mockery accomplished with the use of a petrified language of conservative neoliberal propaganda, in which the key role is played by populism and by stigmatisation inflicted with the word ‘hermetic’. Many critics seem to have forgotten their primary duty of watching performances –they frequently pass judgments and offer advice on the basis of their imaginations and fantasies, contributing to the consolidation of the binary positional war. I’d like to refer to the book by Bojana Kunst, Artist at Work: Proximity of Art and Capitalism, recently published in Polish translation and discussed intensely. It seems to me that Kunst’s book must be read in a specific way in the Polish context, due to the differences in mode and shape of the Polish institution compared to the German or Slovenian (or post Yugoslavian) one. The book is valid and at the same time invalid in the Polish context. Kunst’s theses about artistic practices, the cult of flexibility, continuous self development, constant activity and creativity being the ideal model for the work mode desirable in late capitalism are true, of course, but in the Polish context they only apply to selected fields of practice, often situated at the margins of repertory theatre or outside of it. In Polish repertory theatre and higher education in theatre, another form of capitalism predominates, an earlier phase of it. This is the capitalism of strict specialization, division of roles, strict definition within the profession in contrast to other professions. It is reminiscent of a nineteenth century formation described by the scholar Kristin Ross, closely mirrored in the Bildungsroman narrative structure wherein a young individual, after the time of turbulent youth, becomes fully integrated into society through his strictly defined profession.4 This is why Arthur Rimbaud, a penetrating critic of capitalism, wrote ‘J’ai horreur de tous les métiers’5 and refused to remain a poet (it is amusing that in the broad view today, he functions as an exemplary poet, a cursed one at that). Polish theatre is about fetishising one’s position, one’s profession, in the arts factory that works hard and for the market. It’s a mechanism I remember very well from drama school. We used to construct roles: how to be a director, an actress, a critic. A particular code was associated with it –an outfit, a mode of behaviour, and first of all a demonstration of contempt for other theatrical professions (we used to call theatre studies students ‘the ones who leave at 3pm’, as opposed to us, the ‘hard working’practitioners who rarely left the building). 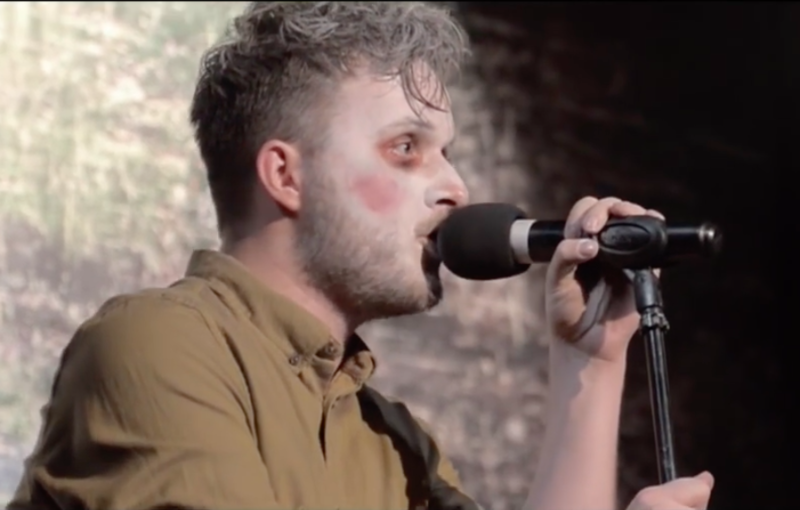 The theatre world in Poland revels in such identity performance. I’d designate such role divisions as the main reason behind the lack of proper integration of theory and practice. Here one should take a step back as regards Kunst’s book: collective forms of cross linking and cooperation based on the dissolution of rigid functions, professional roles and testing different modes of cooperation, which are according to the author a part of life in turbocapitalism, have not emerged yet in Poland, or are at the stage of hatching. And we –having a profound knowledge of what might become of them, thanks to Kunst’s analysis –should protect these forms and try to guide them consciously, as they harbour the hope of change, of working out a different model of work and production, a different institution, then as a result, a new system. For the time being, Polish institutions are practical in a conservative way: they diligently divide and alienate. SOLIDARITY. THE RECONSTRUCION, directed by Paweł Wodziński, premiere: 23.06.2017, Polski Theatre in Bydgoszcz. Photographer: Monika Stolarska. 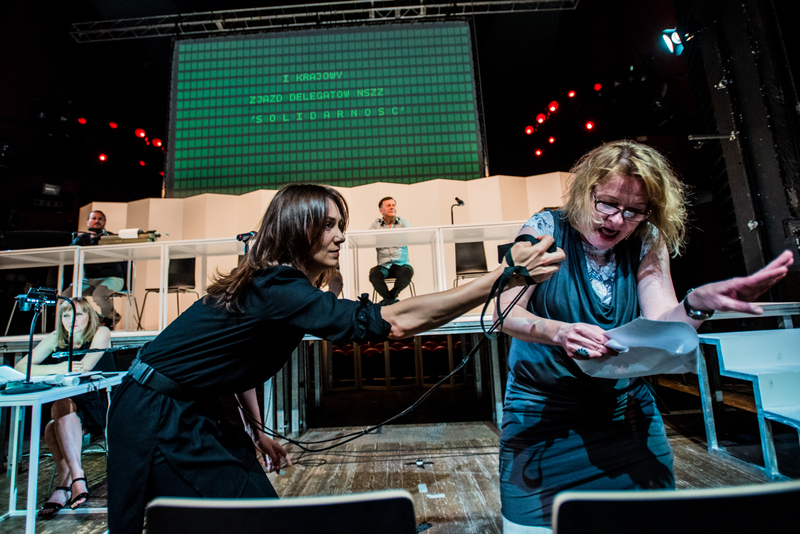 There is yet another identity context that protects Polish theatre from radical change. It’s the national context, paradoxically close to the capitalist one. Mainstream Polish theatre –including its higher education and criticism aspects –appears to be still obsessed with itself, which leads to far reaching separatism and aversion to the use of international achievements (the exception being the specifically understood Russian tradition). It’s worth noting that when other traditions emerge in the public discussion of stage art, they are always ‘national’and considered in the context of the Polish tradition. This is clearly visible in the light of backlash taking place in front of our eyes at present. The widely discussed programme of Marek Mikos, the new director of the Stary Theatre in Kraków, provides a good example here: the British tradition emphasised there is to ‘save’the Polish tradition, which is allegedly being demolished by the ‘German’theatre tradition. These phantasmagorical, nationally identified friends and foes have little to do with actual practice, however. The international fusion typical to Wirth, far from delusions of globalization –as he, after all, witnessed history –also gave sensational results in research on Polish theatre. It’s enough to recall here the original juxtaposition of Jerzy Grotowski and Bertolt Brecht in which Grotowski, taken out of the Polish context, began to resonate altogether differently. Theorist practitioners can be related to Wirth by yet another important theme. Theory knows what it knows and produces utopian scenarios –meanwhile, a practical institution operates quite differently. Advanced theory is not matched by action. Even the progressive institutions mentioned above have had trouble with hierarchy and hierarchical structure. That is to say with democracy, in a nutshell. Agata Adamiecka-Sitek wrote about trouble with democracy in theatre in a very interesting article, ‘Teatr, demokracja i zmiana’[‘Theatre, Democracy and Change’], pitting the representation of democracy in real theatre against the democratising processes possible in that medium.7 Meanwhile, democratisation most often finds its reflection in discourse. Sometimes it actually works within the space of the microcommunity of a creative group, within one production. There are a number of positive practices around, carried out by such artists as Wojtek Ziemilski, MichałBuszewicz, Anna Smolar, Magda Szpecht or independent theatre makers looking to blur traditional roles and question the received mode of theatrical work and production process (to whom I shall return shortly). However, change has not been entirely possible even on the small territory of a single institution. Polish theatre theory practice is still working intensely on hierarchical divisions (understood as a hierarchy within the ladder of specialized professions with stage directors at the top, and within particular professional groups). Meanwhile, without the breakdown of this hierarchical mechanism, change remains impossible, as it remains in the perception of theory and practice, as well. The distinction that is produced makes it impossible to escape binarity; it blocks the entry into an egalitarian and heterogeneous field of integrated artistic and cultural practices. From among actors who until now have been offered the illusion of professionalism and marketable ‘recognisability’in exchange for assuming an absolutely slavish attitude that is both antitheoretical and antiintellectual, a large group of emancipated artists have already emerged, who consciously move between theory and practice, and who have clear class recognition. Theatre artists endowed with their own style, but also the willingness for cross linked cooperation. The systemic change I mentioned at the beginning must begin with a change in this environment due to its extreme positioning within the received narrative. Evidence of these changes is in not only stage practice, but also a certain printed document. I refer to fascinating interviews conducted by Monika Kwaśniewska with actors of the younger generation, published periodically in the journal Didaskalia. These interviews with actors and actresses such as Jan Sobolewski, Jaśmina Polak and Dominika Biernat show the actual picture of individual theatre education, as well as crossing genres and national borders. It’s interesting that this change is coming, as is usually the case with change, as a result of the development of something that could be termed low theory (term used by such theoreticians as Mckenzie Wark and Kristin Ross): theory that’s inseparable from experience and action and produced partly through action itself, as opposed to abstract high theory. 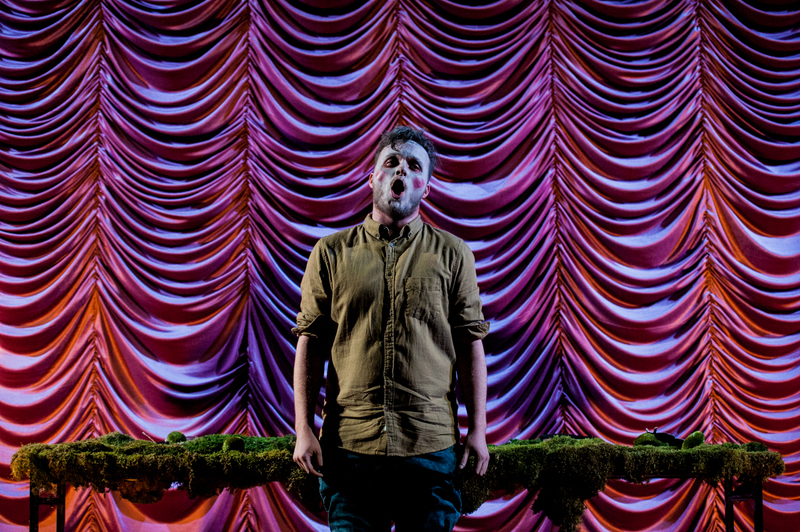 Jan Sobolewski in DYBUK, directed by Anna Smolar, premiere: 4.12.2015, Hieronim Konieczka Polski Theatre in Bydgoszcz. Photographer: Monika Stolarska. At drama school, one doesn’t work on a common cultural code. It seems to me that it’s the source of a later problem with forming collectives. Working on a common cultural code among all the students of the same year would be brilliant. People come from different high schools, backgrounds, but don’t share their knowledge. The program is so intense that there’s no time for that. My relations with directing and dramaturgy department students, in turn, was quite different. Contact with them was very stimulating, also on the basis of knowledge exchange: we borrowed books from one another, recommended films and TV shows to one another. All through my studies, I had great need of something else. I’d go to Berlin with no money, racking up debts to see a show by the Gob Squad, She She Pop, but also by Frank Castorf, Thomas Ostermeier. At drama school, we had one lesson devoted to German theatre, during which the professor wrote down the names of all theatre companies in Berlin on the blackboard. That’s why I read books, watched recordings, and I wanted to see what they did live. It’s a completely different model of theatre. And here I’d like to leave us all with the vision of a theatre institution and a traditionally understood drama school as a dybbuk, with whom one must constantly talk. This article was delivered at the international symposium ‘Giessen and Others: Crossdisciplinary Theatre Education’held at the National Academy of Dramatic Art in Warsaw on 4–5 June 2017. 1. Dariusz Kosiński, ‘Wet za wet (a mur zburzę! )’, www.ptbt.e-teatr.pl [accessed on 3 July 2017]. 2. Grzegorz Niziołek, ‘Dwa tysiąclecia prawie i ani jednego boga!’, www.didaskalia.pl [accessed on 3 July 2017]. 3. See Mark Fisher, Capitalist Realism: Is There No Alternative? (Washington: Zero Books, 2009), p. 44. 4. See Kristin Ross, The Emergence of Social Space: Rimbaud and the Paris Commune (London, New York: Verso, 2008), p. 48. 5. Ross, The Emergence of Social Space, p. 50. 6. Jan Kott, ‘Słowo wstępne’, in Andrzej Wirth, Teatr jaki mógłby być, eds. Małgorzata Leyko, Janusz Margański (Kraków: Księgarnia Akademicka, 2002), p. 5. 7. Agata Adamiecka-Sitek, ‘Teatr, demokracja i zmiana’, www.tygodnikpowszechny.pl [accessed on 3 July 2017]. 8. Grzegorz Niziołek, ‘Dwa tysiąclecia prawie i ani jednego boga!’.